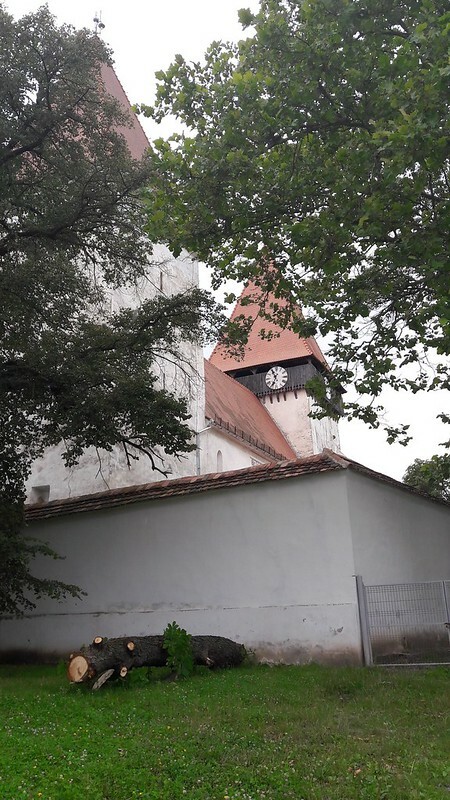 The first mention about the village was in 1336, but the church dates from the second half of the 13th century. Around 1260 the Saxons built a three nave Romanesque basilica with a belfry and a tribune facing the central nave, which has been largely preserved until these day. 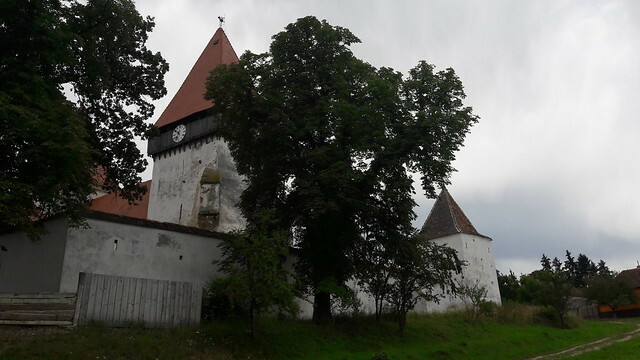 Two centuries later, around 1500, to defend themselves from the constant attacks of the Turks, they fortified the church by adding a square ring wall and some defense towers. The defense level of the western tower and its timber frame parapet walk are still preserved. The baroque altar had seven sculpted statues; only one of them is left today, the one representing Jesus Christ. 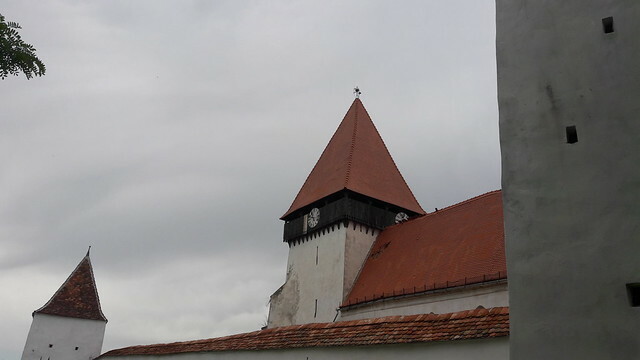 In the tower there are three bells, the biggest seemingly built in the 15th century. Under the church floor there is a well which was used to supply water to the locals withdrawn inside the church during the invasions. Unfortunately, we were not able to see all of these because the church was closed and we couldn’t find someone to open it for us. 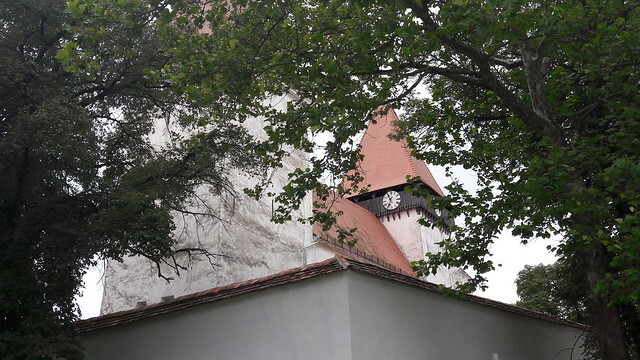 We had to settle for the outside tour, but the wall, towers and the church are in good shape and the visit was worth it.